History of Dallas Plemmons Ministries - Dallas Plemmons Ministries, Inc.
Dallas Plemmons was born the grandson of a Baptist minister in the Smokey Mountains of North Carolina. He grew up knowing that he had a higher calling and that God had His hand on his life. Dallas did not want anything to do with the ministry and ran from the Lord becoming an alcoholic in the process. In a foxhole in Japan, at the end of his ropes, Dallas gave in and turned his life over to God. The rest is history. Dallas came back from the Korean War and went to seminary at Wake Forest University and pastored a church for a time. He realized that his calling was really as an evangelist and missionary. He started evangelizing in 1955 and visited a church in Chattanooga, Tennessee to hold a meeting. There he met a young woman that would become his wife. Dallas and Zonie were married and together, they formed Dallas Plemmons Ministries, Inc. and started traveling all over the United States, Canada and Mexico. In 1961 Dallas went on a world tour which included India and the Philippines. He met a fellow missionary, T.K. 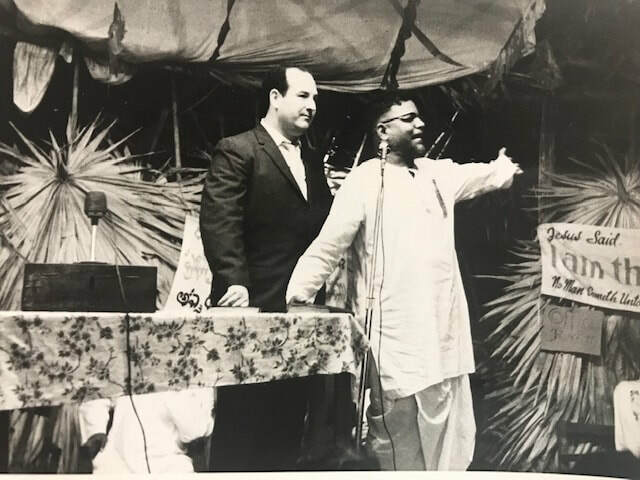 Thomas in India and supported him and his ministry until Rev. Thomas’ death in the early 1990’s. On that same trip, Dallas went deep into the Philippine Islands where the natives there had never seen a white man. He was captured by a headhunter tribe but, through his interpreter was able to pray for an elderly sick man. God preformed a miracle on the man and Dallas was then able to lead the entire village to Christ. In the early 1960’s, Dallas met a man by the name of Nick Gruit. Nick was a missionary to Haiti. Dallas went to Haiti at the request of Nick and soon saw the extreme poverty there. 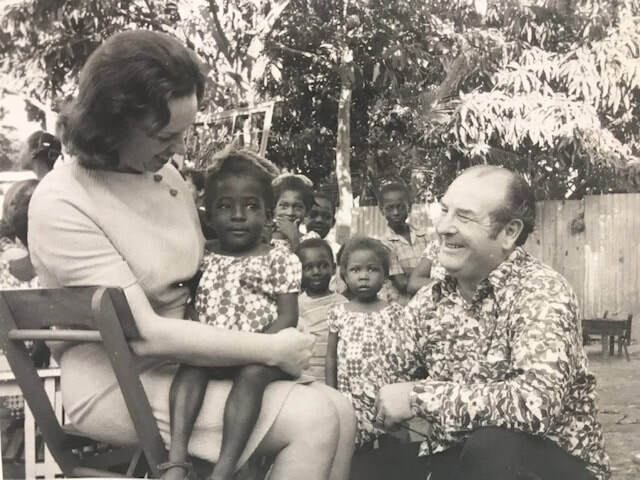 He was so touched by the children of this country that he started his own orphanage and ministry that is still going to this day. During Dallas’ ministry, he ministered in 53 countries over 56 years. He led hundreds of thousands of people to the Lord and helped to establish hundreds of churches in countries all over the world. God used him as His vessel to pray for the sick and suffering and Dallas had the privilege of seeing miracle after miracle of healing and deliverance. In June of 2008, Nancy and her oldest son Larry, III, Bob and Dean Scott went to Lima, Peru and ministered to hundreds of people. The work there continues in churches and two orphanages and a home for battered and abused women and children. In November 2009, Nancy, Larry and their two sons went to Ghana, Africa. Dallas Plemmons Ministries has supported a missionary work there, Agape Gospel Mission. Rick and Donna Whitcomb established this work in the early 1980’s and have started over 60 churches in and around Ghana. The Whitcomb's have an orphanage and school that houses 56 boys and 19 girls. Larry and Larry, III constructed a radio studio while there. Rev. Whitcomb broadcast messages to the capital city of Accra and the surrounding villages. Nancy went to village churches around Accra to minister. October 2009 and March 2010, Larry went to Haiti. The trip in March was after the devastating earthquake. Larry, Nancy and Ian have traveled to Haiti to reestablish the work there at the church and school in Saut d'Eau. There is much to be done in Haiti so, the work of Dallas Plemmons Ministries continues.